So Much for So Little...1.5 story on 1/2 acre lot in beautiful Colby Ridge on full unfinished walkout basement. 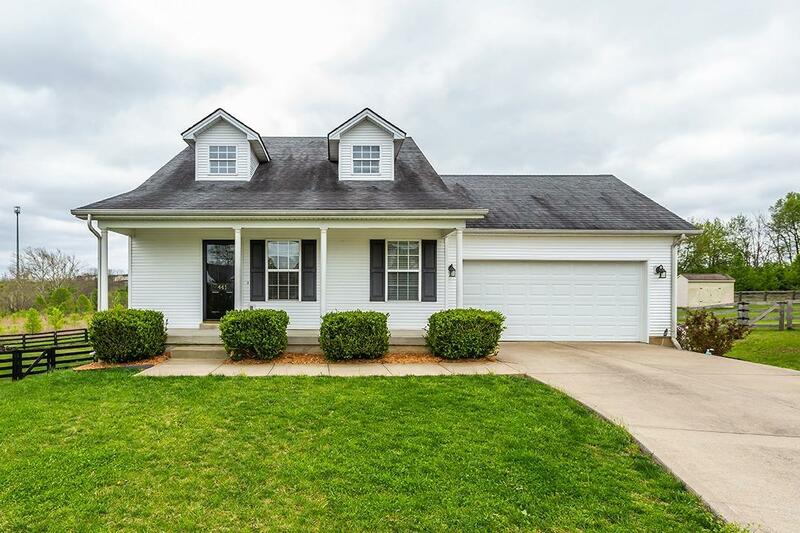 Situated on a cul-de-sac, the covered front porch leads into the two story greatroom with beautiful hardwood floors and an abundance of light. Large kitchen with all appliances to remain features breakfast room and access to powder room and deck. First floor master bedroom suite with walk-in closet, double vanity, toilet, tub/shower. Upstairs you will find 3 generous sized bedrooms, each with a wall closet. Full unfinished basement has roughed in bath and windows with walkout to a patio/huge rear yard with fence/playset to remain. Finish basement as you wish and you could have over 3400 SF of living space. Within minutes of I-64, bypass, shopping and restaurants, this home offers one of the largest yards in the area as well as your ability to add extra living space in the future...do not miss this opportunity!